In today’s world, our living arrangement is constantly developing and as the population grows in the cities there is a higher demand for compact but easy storage solutions. That is why Spanbilt has released 5 new slim garden sheds! 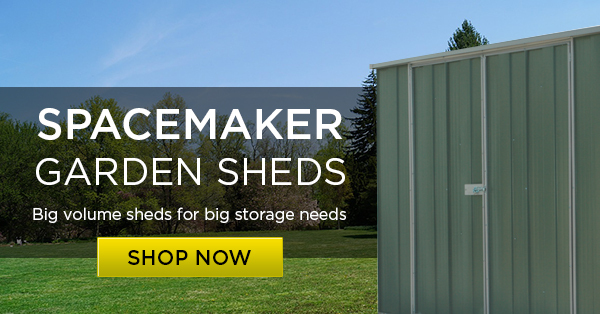 We are happy to introduce 2 new ranges, the Slimline YardSaver and Spacemakers and in total, we are adding 5 new sheds to our store! We can confirm we still have the BIGGEST range of top quality, tried and tested products on our site, totalling almost 500! Tending to the needs for compact storage, Spanbilt has introduced their new Slimline YardSaver line. There are 4 different models in the range which will provide even more choice for our customers. These sheds are perfect for narrow areas or along a wall of the home. Some of the models have the door on the short end which makes access easy if it’s located in a narrow area. But for those who require double doors for better access, we have Slimline YardSavers with the doors on the wide side too! They come in Zinc or in 3 colours you can choose from! Comes with 15 year written warranty. Finally, we are able to introduce a range which has been labelled as the Spacemaker which offers big volume sheds for big storage needs. They have a great storage capacity and perfect for families who need a whole lot of storage space but have a limited space for a shed. Comes in Zinc or you can choose from 3 different colour steel options! 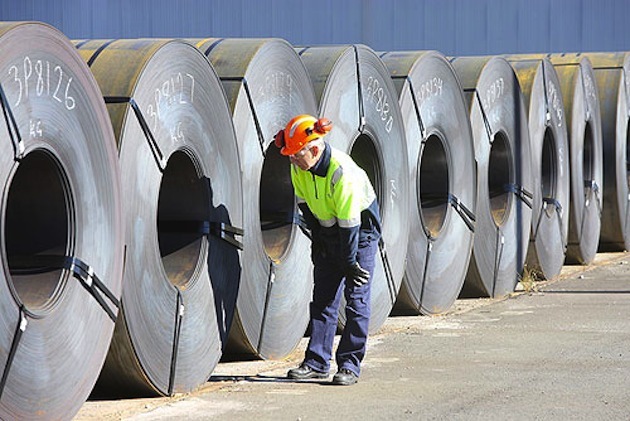 All the new steel sheds are manufactured from quality low-maintenance steel and designed to endure all weather elements, so it lasts a lifetime. We are always doing research and looking into what YOU, the customer needs for your home. 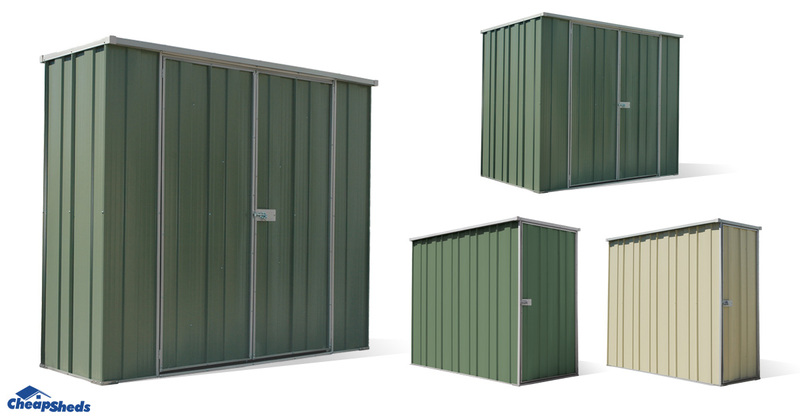 Spanbilt has introduced these new sheds in response to the demands and feedback, so we expect these to be popular and flying out the factories by the start of 2015!